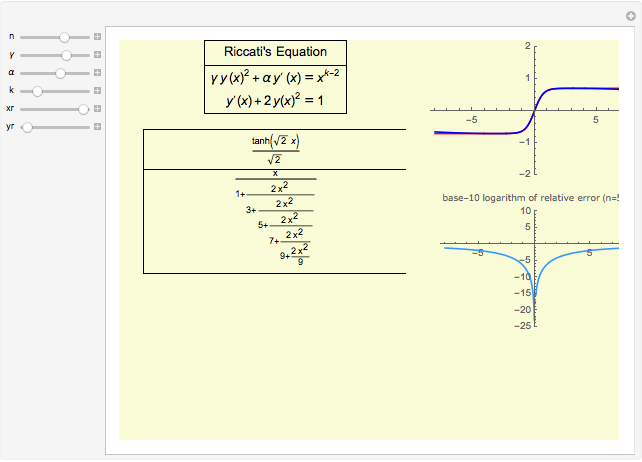 Explore the solutions of the Riccati differential equation with continued fractions, which provide a very effective function approximation toolset. Usually the continued fraction expansion of a function approximates the function better than its Taylor or Fourier series. 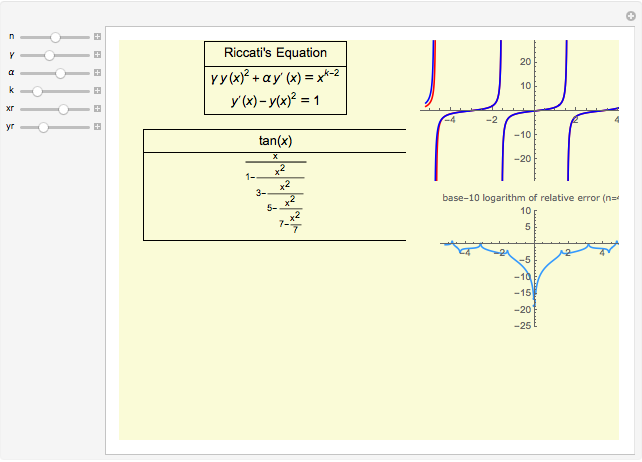 The solution(s) of the Riccati differential equation are very diverse; they contain polynomials, trigonometric and hyperbolic functions, logarithms, and (nested) square roots. 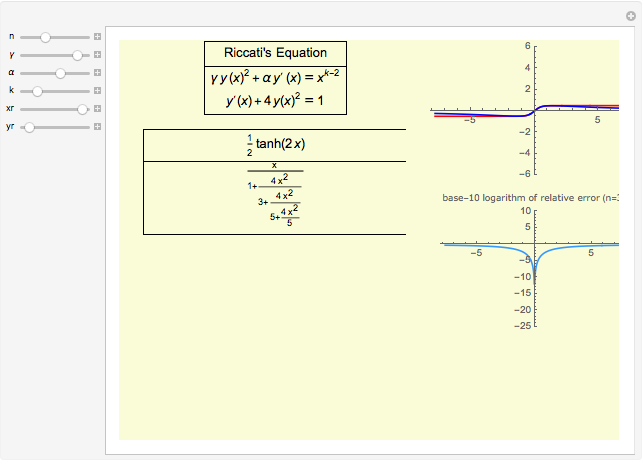 The solutions of the Riccati differential equation are ratios of Bessel functions. In many cases these simplify to monomials, combinations of trigonometric functions, and logarithms. The number of terms used in the continued fraction expansion is , is the domain on the axis (" range"), and is the range of values displayed on the axis (" range"). Andreas Lauschke "Riccati Differential Equation with Continued Fractions"